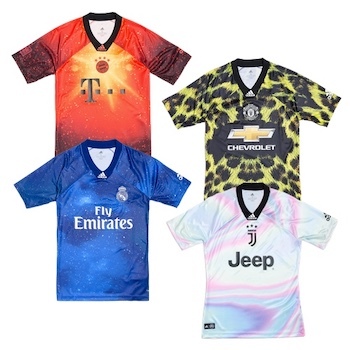 adidas team up with games giant EA Sports to present a series of "Digital" 4th kits for some of the biggest clubs in the world. As seen in FIFA 19 are jerseys for Juventus, Manchester United, Real Madrid and Bayern Munich. This time virtual has become reality.